The goal of the Loop Trail partners: FBO, Forest Service, County and City; is to build high-quality sustainable trail. What does that mean? We follow the standards set out by I.M.B.A. (International Mountain Bicycling Assoc.) that include features that protect a trail long-term. It is designed to prevent erosion even while reducing the need for maintenance; it can even protect it’s users by managing blind spots. A good trail sheds water before it can erode the trail, its steepness suites the stability of the terrain, it incorporates the various needs of different users, and best of all, takes the user on a interesting journey through terrain. This means trail is preferentially built on side-slopes rather than creek/wash bottoms, it is not excessively steep, never running straight up and down a slope, and is designed to drain, not collect, flowing water through undulation more than the use of large intrusive water-bars. Many trails in Flagstaff began as social trails or old road-beds with none of these features… and we can see the results… trails that become deeply rutted, rocky and not-so-much fun. Worse, they cause erosion and hurt the environment the users come to enjoy. A good trail can integrate with the environment and provide long-term enjoyment without requiring chronic maintenance. The proposed non-motorized 42-mile Flagstaff Loop Trail will include many existing trails, including portions of the Arizona Trail, some social trails, and some 2-track road converted to trail. The trail will be varied in character, from easy to more difficult trails. 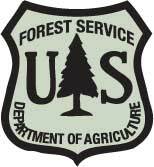 Currently most of the sections of the FLT on USFS land has been completed. We are currently supporting upgrading the FLT between the Elden LO Trail Head area and Elden LO Road to Class 4, (like the Flagstaff Urban Trail System), with its own alignment as part of the Mount Elden Dry Lake Hills Recreation Planning Project. Some sections of the trail will eventually be built as Flagstaff Urban Trail System when private parcels are built-out by developers, per City requirements, or when the City constructs streets and FUTS. Some parts of the trail are on parcels that are still part of the State Land system and will be eventually sold and developed similarly. The underpass on I-17 is awaiting long term planning decisions and direction from ADOT before we can work towards seeking the necessary easements from ADOT to connect the trail under the freeway. For details about any given section, see this chart or the Flagstaff Loop Trail Interactive Map. The goal of the Flagstaff Loop Trail is to provide an exceptional multi-use, non-motorized recreational experience close to the urban fringe. The trail will offer improved connectivity within our community while providing a safe and inviting transportation alternative. What – When completed the 42 mile trail will circumnavigate Flagstaff, providing access from all areas of the city. 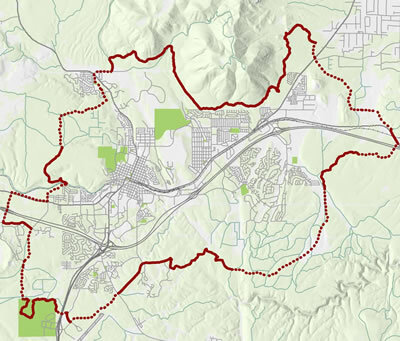 The concept is that of an outer wheel surrounding Flagstaff, with the linking trails acting as spokes entering the city (the Flagstaff Urban Trail System). The wheel will then link to the communities outside the city limits and to the network of Forest Service trails, including the Arizona National Scenic Trail. The Loop Trail will utilize a variety of Forest Service trails, abandoned roads, the Flagstaff Urban Trail System, State Land department trail easements and the Arizona Trail. The Flagstaff Loop Trail is divided into 8 passages which are based on geographical areas and opportunities. A passage will have a main trailhead and will be not be more than 15 miles in length, making it possible to complete a passage on foot in one day. Smaller segments are based on land management areas, existing trails and roads. Who – This project is being coordinated by Flagstaff Biking Organization, a local non-profit group, in partnership with the Coconino National Forest Service, City of Flagstaff, Coconino County Parks and Recreation and many wonderful volunteers from the Flagstaff community. Why – The FLT Project represents a unique opportunity to plan and create a remarkable corridor close to Flagstaff’s boundaries. The project is focused on respecting our forest environments by proactively managing recreation of high-volume urban interface areas to minimize negative impacts. This will preserve a green corridor surrounding the community before development overruns its boundaries. Where are we now? – Most of the USFS sections are completed, and the Loop can be connected with interim routes where the permanent alignment is not yet completed. For detailed info on the status of any given section, see this chart or the Flagstaff Loop Trail Interactive Map. More questions? Contact the Flagstaff Loop Trail coordinator.